I know I am probably extremely behind with my latest discovery but, in-case you are like me, thanks to baby and toddler distractions, I would like to introduce Liberty homeware. 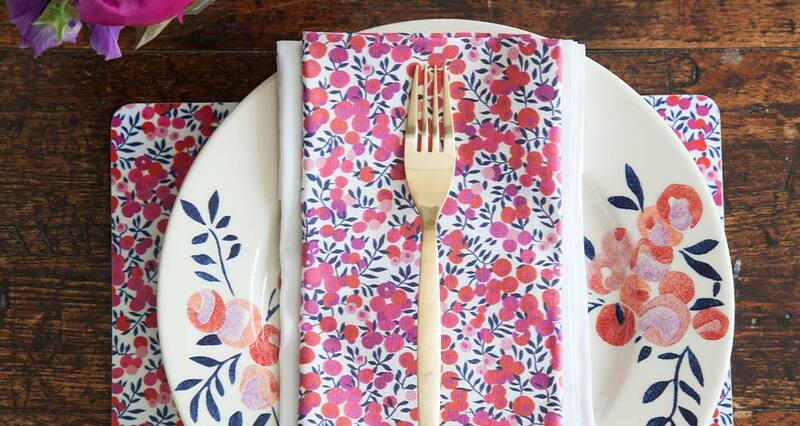 The tableware alone is just gorgeous. Dinner-party-décor upgrade anyone? I must add, whilst we are here, liberty-print baby. The cutest cotton bloomers, blouses and dresses. And why not add a matching cotton bib to prettify the far from pretty weaning process? (Not long to go now...) It's at times like this I am so thankful I have girls. I am slightly obsessed with teepee tents at the moment and this latest discovery has got me very excited. 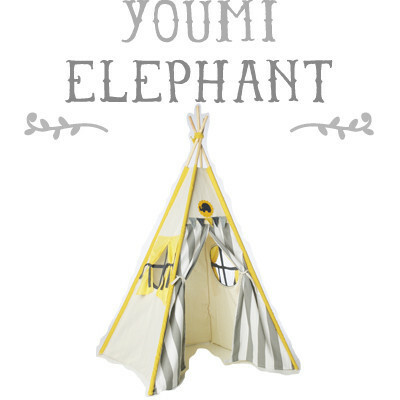 Youmi and Teepee have just the most perfect teepees. Last week I received a new aden + anais summer-weight sleeping bag ready for our impeding holiday. From experience I have learnt that the 1 tog sleeping bags are still far too hot for Mediterranean climates, and a sheet or light blanket just doesn't work as an alternative. Evelyn's latest trick is to wriggle anything covering her up over her face, so I wouldn't feel comfortable her sleeping in anything but a sleeping bag. Aden + anais is the obvious answer. Soft, snuggly muslin that is as light as the lightest sheet - to keep her cosey yet cool. Let's face it, most of us are still reluctant to invest so much in a maternity wardrobe. Nine months, however long it feels, comes and goes pretty fast, and so most would rather spend in other areas than maternity-wear. Unfortunately however, being pregnant does require a number of essentials - A pair of basic leggings, jeans and some ruching will always be in demand. So now is the best time to buy. Hello sales. Favourite maternity labels (by now you should know who these are) have some great bargains to be had. Luckily I have done the hard work for you. Perhaps the ultimate in luxury maternity wear? 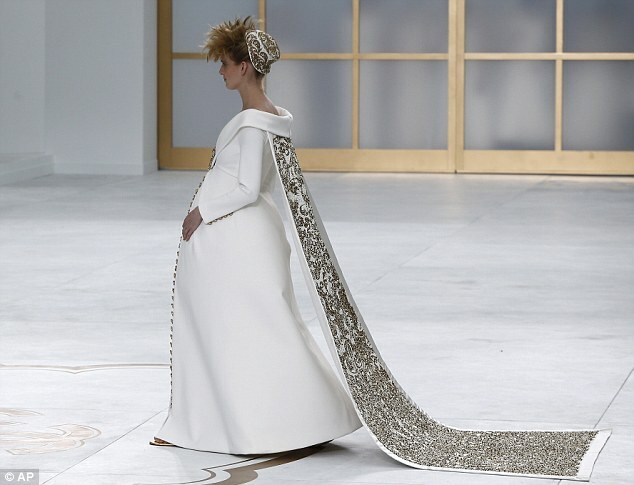 Thank you Karl Lagerfeld for making pregnancy so glamorous. Chanel with a baby bump. What woman wouldn't....? As a shoe lover (what girl isn't?) 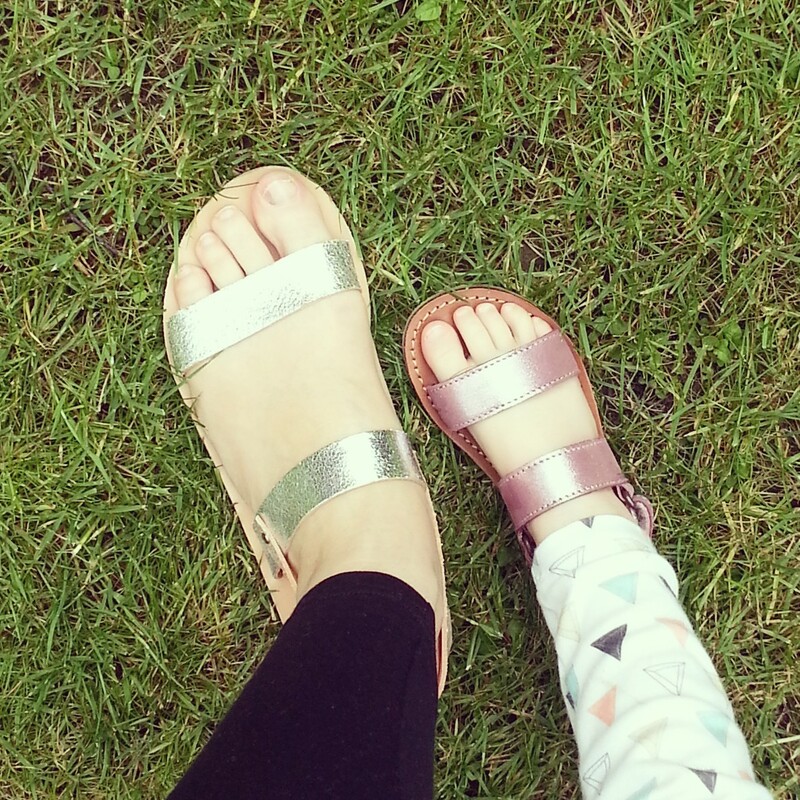 having a mini-me is so much fun when it comes to styling those tiny-toes. A has an extremely extensive collection of shoes and E is not far behind. What is so great about having two girls is that investing in quality footwear means you can save them for number two. My idea being a good selection will mean no one pair gets worn to death, and remains in fabulous quality for little sis. Like my logic?